Dotnetspider.com is happy to announce the new MVM Awardees. This award is valid for the period of one year from 1st April, 2010 to 31st March, 2011. The list of membes who are awarded with Most Valuable Member of DotNetSpider (DNS MVM) is given below. Asheek T K is a senior Diamond member. Asheej has been very actively participating in the forums of DNS and answering the queries of the members in a precise and correct manner. He joined DNS on 12th November, 2009. He has demonstrated extensive knowledge of .Net technologies. He has more than seven years of experience working on Microsoft Technologies. 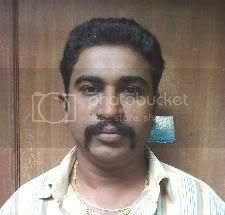 He currently works for Capgemini Consulting India Pvt. 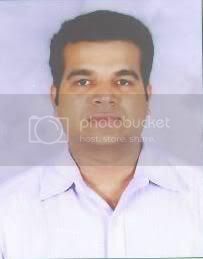 Ltd.
Alwyn Duraisingh M. is another senior Diamond member who joined DNS on 8th October, 2009. He is currently working as Senior Software Engineer with Verizon Data Services. 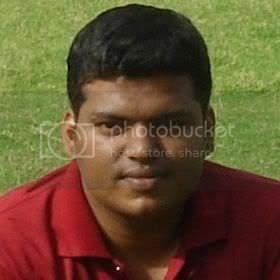 Antony Vasanth Kani is one of the most effective contributor with DNS. He has not only contributed to answering questions in forum, he has also gone out of the way in creating the DNS logo's. He joined DNS on 19th August 2009. Congratulations to all the new and renewing winners. Best of luck and you deserve it. All the winners are requested to send their email address to us so that we can send the MVM certificates. COngratulationnnnnnnnnnnnnnnnnnnnnnnnnnnnssssss to all the New MVM of DNS. Welcome to the elite group of DNS users. And Welcome the other Old MVM's who;s status is renewed. what is the benefits of MVM award? Congratulations to all the MVM's..
Also i would like to thank one and all for your wishes and greetings. Congrats to all new MVM's. I feel immensely honored to be selected eligible for DNS MVM Award. Thanks for your recognition and support. Congratulations to all other MVMS. Congratulations to all New MVM's.. Thanks DNS for renewing my status!! Thanks for the recognition... and thanks to all DNS members for the great support and appreciation. "We learn more by looking for the answer to a question and not finding it than we do from learning the answer itself." i like to be in this list. i will be!!!!! Go Green and Save Your Future. Congrats to all MVMs ! "Enjoy the World of IT"
Hi to New MVM's. Heartly congratulation to you. "In a day when you dont come across any problem, you can be sure that you are travelling in a wrong path"